Samsung Electronic has announced it is to begin mass production of the highest-capacity mobile DRAM – an industry first 12-gigabyte low-power double data rate 4X (LPDDR4X) package. The South Korean-giants said the chips were optimised for premium smartphones of the future. Remarkably the chips feature higher capacity than most ultra-thin notebooks currently on the market. With 12GB mobile DRAM, smartphone manufacturers will be able to maximise the potential of devices especially with the advent of 5G on the horizon. “For smartphone users, the 12GB DRAM enables more fluid multitasking and faster searches as they navigate through a myriad of apps on ultra-large high-resolution screens. Also, the 1.1-millimeter thickness allows for even sleeker smartphone designs,” claims Samsung. The new 12GB mobile memory delivers a data transfer rate of 34.1GB per second while minimising the increase in power consumption. 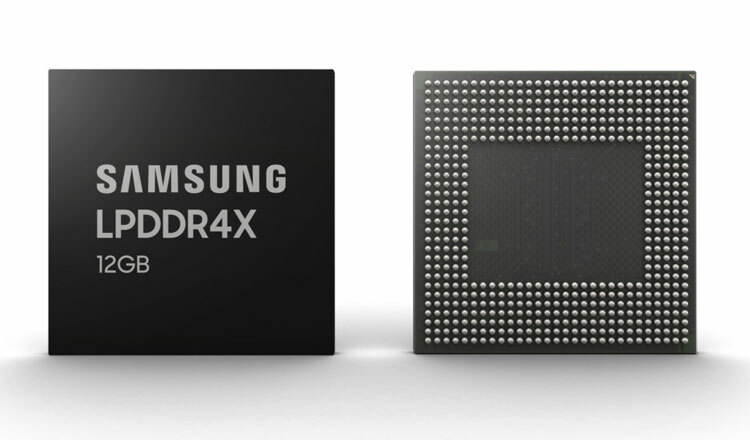 Since introducing 1GB mobile DRAM in 2011, Samsung continues to drive capacity breakthroughs in the mobile DRAM market, moving from 6GB (in 2015) and 8GB (2016) to today’s first 12GB LPDDR4X. Samsung says it plans to more than triple the supply of its 1y-nm-based 8GB and 12GB mobile DRAM during the second half of 2019 to meet the anticipated demand. Oppo Find X will be available in two gradient colour combos - Bordeaux Red and Glacier Blue. $1,000 for a Chinese smartphone?